The deadly Salmonella Kiambu outbreak linked to papayas has now sickened at least 109 people in 16 states. That’s an increase of 64 more ill persons from the last update on July 21, 2017. Six more states have reported patients since then: Connecticut, Delaware, Michigan, North Carolina, Oklahoma, and Wisconsin. This outbreak began when Maryland officials started investigating a Salmonella cluster in their state. They found two types of Salmonella: Kiambu and Thompson. Officials were not sure if those sickened with Salmonella Thompson were part of this outbreak. Now, laboratory tests showed that the strain of Salmonella Thompson isolated from papayas collected in the Maryland investigation is “closely related genetically” to clinical isolates from patients so they are part of the outbreak. Thirty-five of these patients have been hospitalized because they are so sick. One death was reported from New York City. Attorney Fred Pritzker, who has represented people sickened in Salmonella outbreaks, said, “No one should get sick because they chose to eat a healthy diet including fresh fruit.” Call 1-888-377-8900. The case count by state is: Connecticut (4), Delaware (1), Iowa (2), Kentucky (2), Louisiana (1), Maryland (6), Massachusetts (3), Michigan (1), Minnesota (4), North Carolina (2), New Jersey (26), New York (26) Oklahoma (2), Pennsylvania (7), Virginia (11), and Wisconsin (1). Illnesses started on dates ranging from May 17, 2017 to June 22, 2017. The patient age range is from less than 1 year to 95, with a median age of 36. Sixty-three percent of ill persons are female. Among 74 people interviewed, 50, or 68%, are of Hispanic ethnicity. Investigators used whole genome sequencing (WGS) to learn more about the DNA of Salmonella from Maradol papayas that officials in Maryland purchased from a grocery store in that state. The samples yielded the outbreak strains of Salmonella Kiambu and Salmonella Thompson, both from the Caribeña brand Maradol papayas imported from Mexico. The Salmonella Kiambu isolate from the papaya is closely related genetically to Salmonella Kiambu isolates from ill persons. 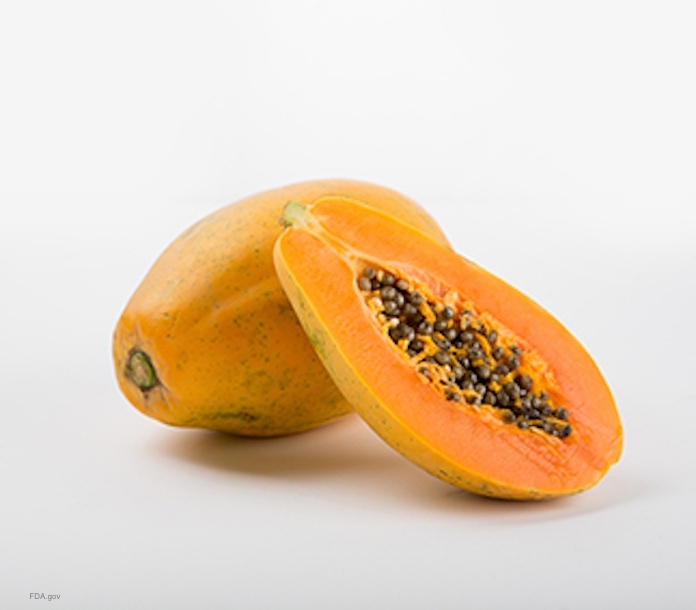 The testing also showed that the Salmonella Thompson isolate from another papaya is closely related to the Salmonella Thompson isolates from patients. The FDA has tested other papayas imported from Mexico from the Caria de Campeche farm. They found other types of Salmonella on the fruit, including Salmonella Agona, Salmonella Kiambu, Salmonella Gaminara, Salmonella Thompson, and Salmonella Senftenberg. The government is searching through PulseNet to identify more potential patients who may be part of this outbreak. Officials are looking at the supply chain to determine where the papayas were contaminated. The symptoms of a Salmonella infection include abdominal cramps, nausea, vomiting, diarrhea, and a fever. Most people get sick 6 to 72 hours after exposure to the bacteria. While most people recover without medical treatment, some do become so ill with sepsis or dehydration that they need to be hospitalized. If you have eaten papayas and have experienced these symptoms, see your doctor as soon as your can. Even if you recover completely from this infection, salmonellosis can have lifelong consequences, including irritable bowel syndrome, high blood pressure, and reactive arthritis. If you or a loved one contracted a Salmonella infection after eating papayas, contact the lawyers from our experienced legal team for help at 1-888-377-8900. 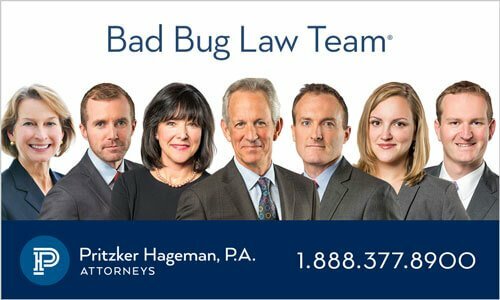 The noted law firm Pritzker Hageman helps people who have been sickened by contaminated food protect their legal rights and get answers and compensation. Our lawyers help patients and families of children in personal injury and wrongful death lawsuits against retailers, grocery stores, food processors, restaurants, and others. 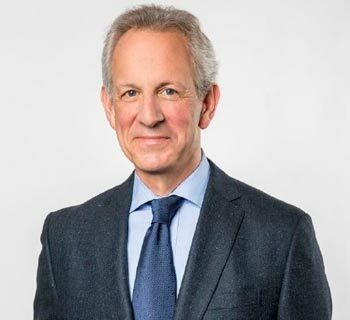 Attorney Fred Pritzker recently won $7.5 million for a young client whose kidneys failed because he developed hemolytic uremic syndrome after an E. coli infection. You should know that class action lawsuits may not be appropriate for outbreak victims because each individual case is different.